If you think you don’t have a content strategy, think again. The way you manage training, marketing and sales content and deliver it to your sales reps determines your strategy. And that strategy – good or bad – has a big impact on your sales reps. 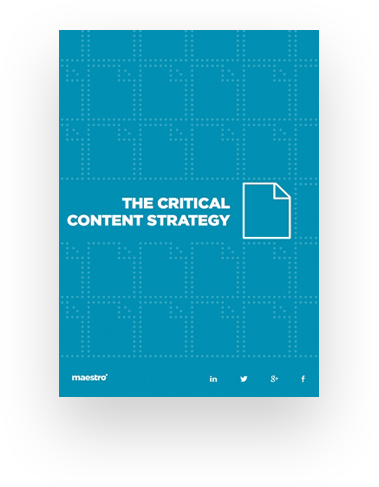 Many of today’s companies aren’t providing the content their sales reps need because they don’t have effective content strategies. As a result, as much as 90% of sales content isn’t even used in selling. Don’t be a part of this dismal statistic. How to create a smart content strategy that will help optimize sales force productivity. How to leverage technology to manage your content better with a lot less effort. How allowing sales reps to individualize the way they access and use content can optimize their productivity. The importance of socialization and feedback in a successful content strategy.